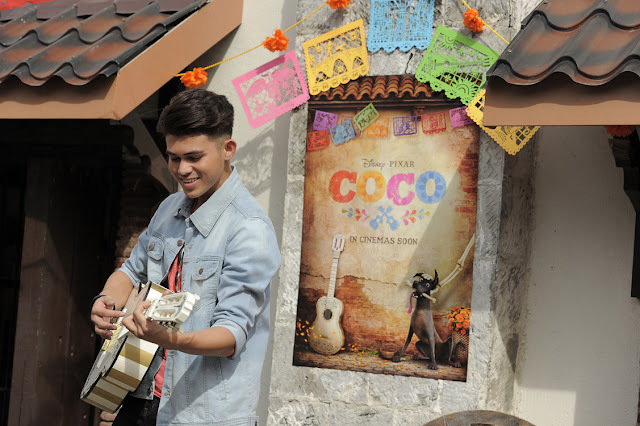 Inigo Pascual Sings Official PH Version of "Remember Me" from Disney-Pixar's "Coco"
Inigo will perform the song live for the first time in a special show at the Venice Piazza Grand Canal Mall on Wednesday, November 15 at 4 PM. The public is invited to watch. Admission is free. The Philippines's localized music video aims to deliver the inspirational and positive message of “Coco” -- that family is forever and we must keep alive the memories of our loved ones. This local adaptation aims to dream, create and celebrate the most magical stories and adventures, each woven around a relatable, empowered local talent who delights everyone and especially inspires young minds to realize their full potential. “Remember Me” was composed by Kristen Anderson-Lopez and Robert Lopez, the Oscar®-winning team behind Walt Disney Animation Studios’ 2013 feature “Frozen.” In the film, “Remember Me” is the signature song for beloved performer Ernesto de la Cruz, and is heard multiple times throughout the movie.